Well, I have finally succumbed to the urge to pull, pull, pull. Much of the winter garden is gone, and, on its heels, come the delights of summer. 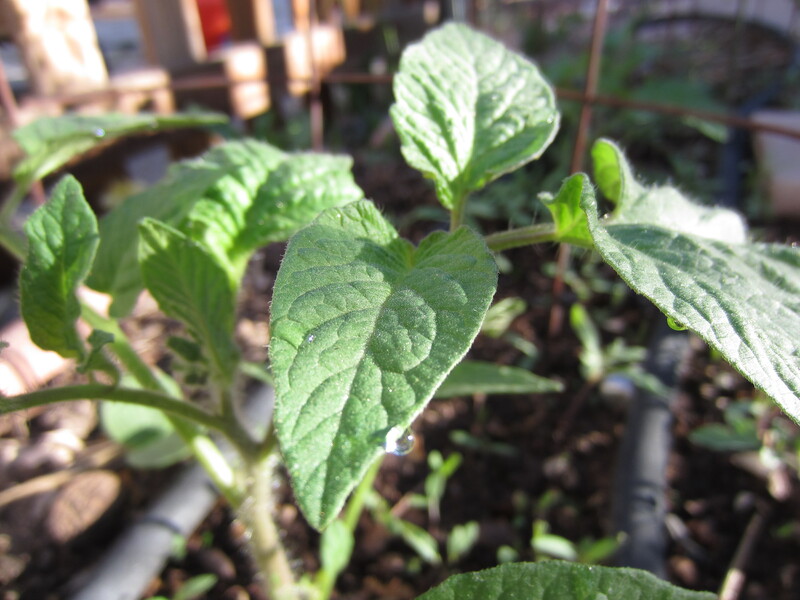 I have 12 tomato plants in the ground, plus a tomatillo and a ground cherry. I have lots of tomato starts left and might squeeze in a few more. I want to make sure I have enough tomatoes to roast and freeze, dry, and make into sauce. Enough to see us through to next summer. A tall order, I know. 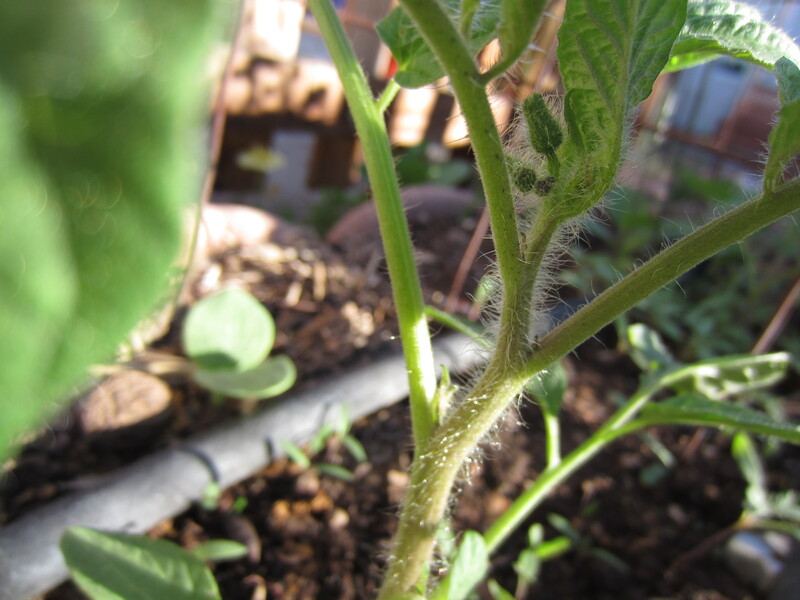 The warm weather is already encouraging the tomatoes to bloom. I will be pinching off these buds to encourage more growth before the plant starts putting its energy toward producing fruit. I planted two hills of zucchini and one hill of melon in one bed. The slugs took out the tiny seedlings on two of the hills so I had to bring in the reinforcements for the remaining zucchini. Looks like I will be sowing those hills again. 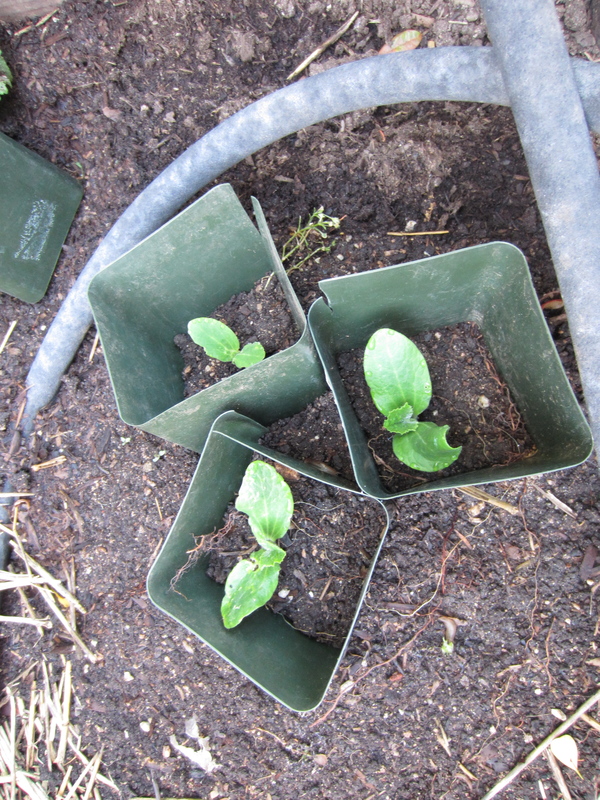 This year, I have planted four varieties of winter squash so far: Chersonskaya, Ana Swartz, Butternut, and Jack-O-Lantern Pumpkins (a first, so fingers crossed). 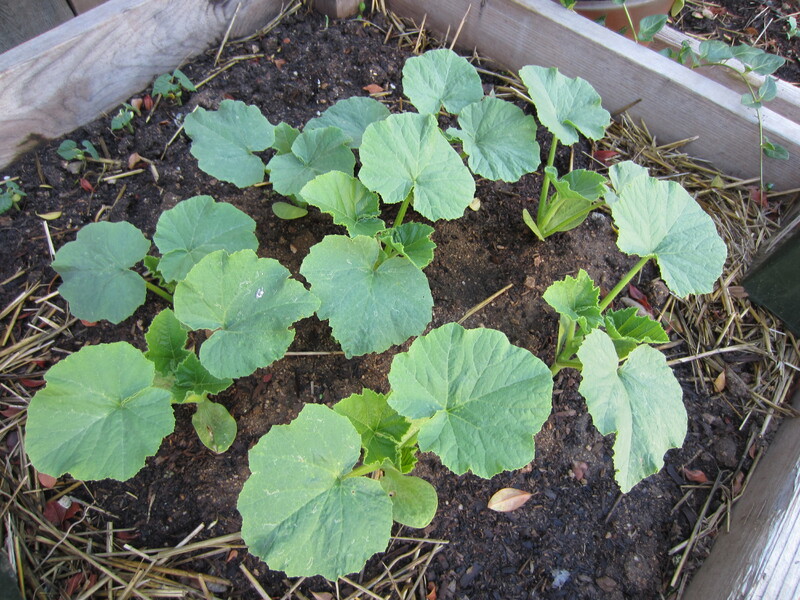 I am planning to save the seeds of the Chersonskaya and possibly the other squashes as well. There are three varieties of eggplant: Diamond, Rosa Bianca, Listada de Gandia. I think eggplant are one of the most beautiful of the summer crops. We eat them, of course, but I think I grow them more for their beauty. 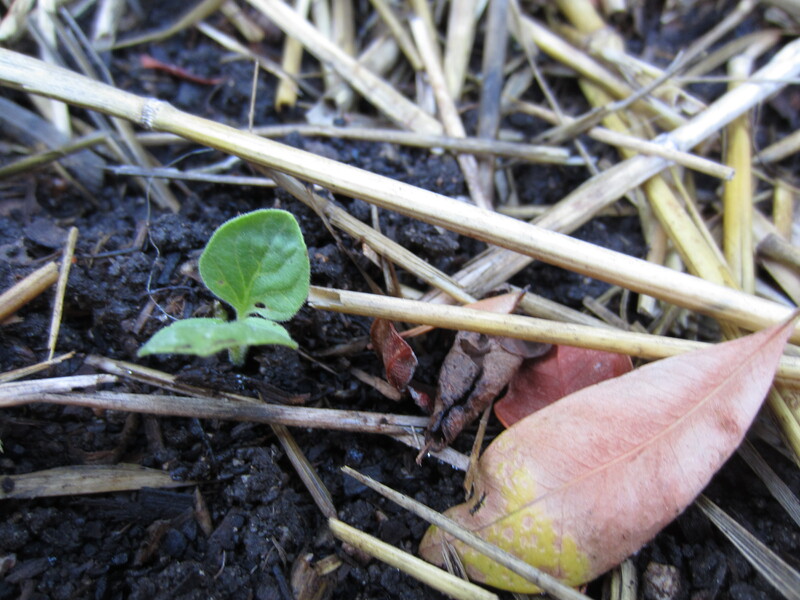 Also in the ground are two types of soup beans, cucumbers, carrots, and basil. I still have a couple of beds or half beds holding the last vestiges of the fall/winter garden. 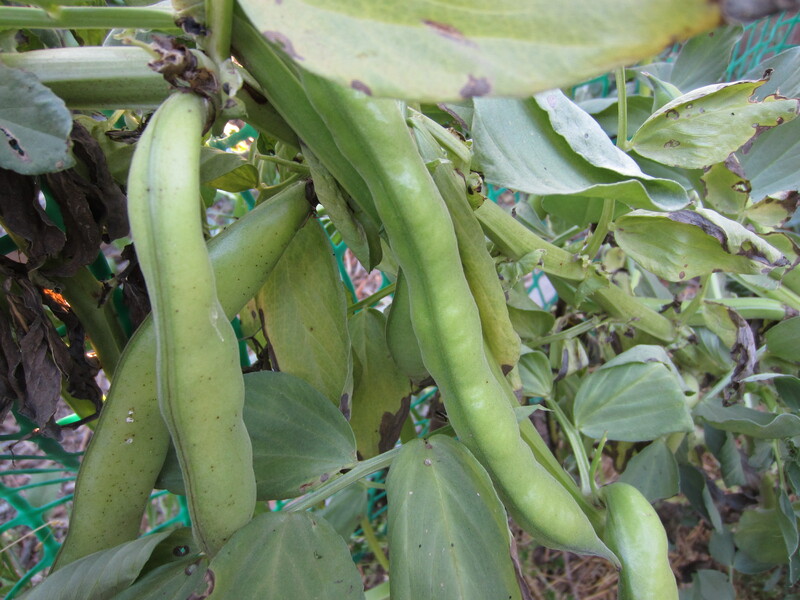 I will be harvesting these fava beans for their seeds to be planted again next fall. 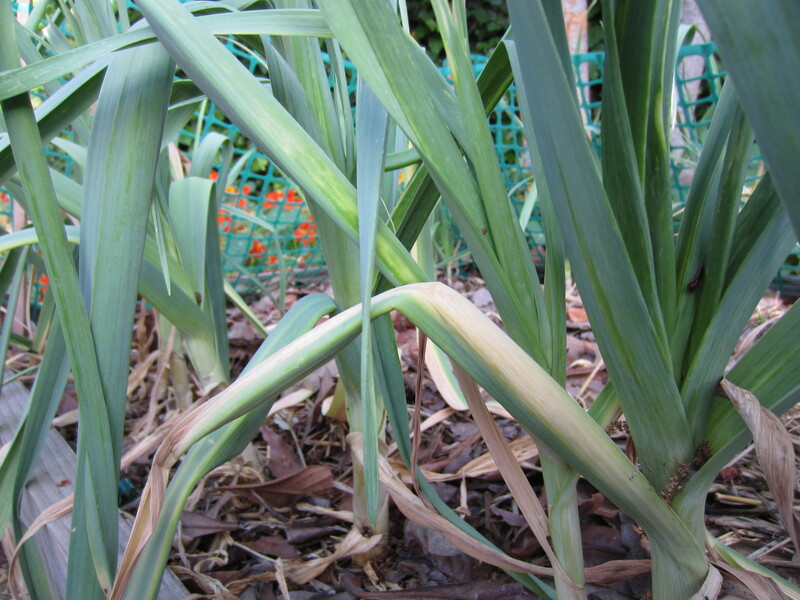 My garlic harvest will be small this year. The bulbs that actually sent up stocks are looking good though. They will come up in a few more weeks. 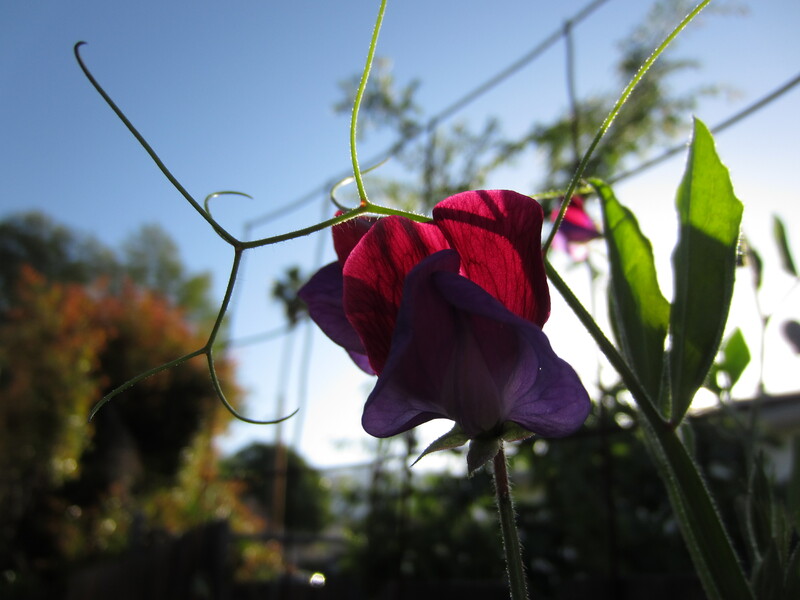 And, very soon, I will be pulling the sweet peas and replacing them with more soup beans. Until then I get to enjoy them just a little bit longer.